AN ECONOMIST BOOK OF THE YEAR A CBC BOOK OF THE YEAR The extraordinary story of an indomitable 95-year-old woman - and of the most extraordinary century in Ethiopia's history. A new Wild Swans A hundred years ago, a girl was born in the northern Ethiopian city of Gondar. Before she was ten years old, Yetemegnu was married to a man two decades her senior, an ambitious poet-priest. Over the next century her world changed beyond recognition. She witnessed Fascist invasion and occupation, Allied bombardment and exile from her city, the ascent and fall of Emperor Haile Selassie, revolution and civil war. She endured all these things alongside parenthood, widowhood and the death of children. 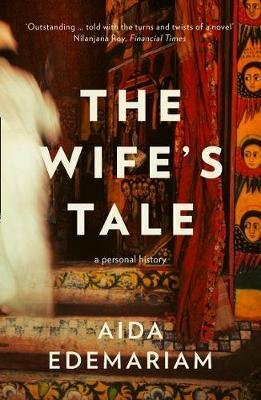 The Wife's Tale is an intimate memoir, both of a life and of a country. In prose steeped in Yetemegnu's distinctive voice and point of view, Aida Edemariam retells her grandmother's stories of a childhood surrounded by proud priests and soldiers, of her husband's imprisonment, of her fight for justice - all of it played out against an ancient cycle of festivals and the rhythms of the seasons. She introduces us to a rich cast of characters - emperors and empresses, scholars and nuns, Marxist revolutionaries and wartime double agents. And through these encounters she takes us deep into the landscape and culture of this many-layered, often mis-characterised country - and the heart of one indomitable woman.